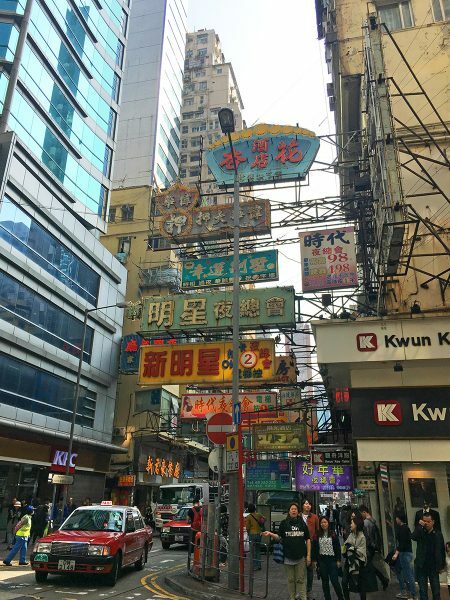 As one of the most densely populated places in the world, Hong Kong evidently holds a particular fascination for people from across the globe. Perhaps it’s the fact that, with over 1,000 skyscrapers and more buildings over 150 metres (500 ft.) than any other city, it has one of the tallest and most magical skylines in the world. In Hong Kong, more people live and work above the 14th floor than anywhere else on Earth, making it the world’s most vertical city. Unfortunately, it is also notorious internationally for having the most unaffordable housing, so don’t get your heart set on a Hong Kong apartment! 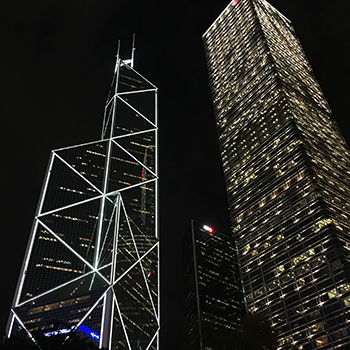 The skyline is considered so spectacular that it’s earned Hong Kong the nickname the “Pearl of the Orient”, but the region’s actual name has rather different connotations. The Chinese name for Hong Kong, known as “Xiānggǎng” (香港), literally translates to mean “Fragrant Harbour” or “Incense Harbour”. Some historians believe that this may refer to the sweet taste of the water in the estuaries of the Pearl River, while others argue that it derives from the incense that was made and stored in factories along the coast north of Kowloon. Regardless of its origin, the name clearly indicates the importance of maritime activities in Hong Kong’s history. Officially the region is made up of three parts: Hong Kong Island, the Kowloon Peninsula, and the New Territories, together with 230 offshore islands. Before the mid-19th century, Hong Kong was an area of little significance, inhabited only by a small population of Tanka fishermen and Hakka charcoal burners. Compared to other regions in China, it lacked fertile soil and a stable fresh-water supply, and was rumoured to be a haunt of pirates. However, in 1821, British merchants soon discovered that its natural harbour made a safe and sheltered base where they could anchor their opium-carrying vessels. These merchants swiftly realised the great commercial and strategic value that Hong Kong held. The area where they first landed became the Victoria urban district, and is now the centre for administrative and economic activities in Hong Kong. Victoria Peak and the stately colonial mansions that surround it are now popular tourist attractions. After the First (1839-1842) and Second (1856-1860) Opium Wars, Britain forced China to sign a series of treaties that granted them control of Hong Kong Island and Kowloon Peninsula. In addition, the New Territories and offshore islands were leased to Britain in 1898 for a period of 99 years. Thereafter, Chinese immigrants frequently flocked to Hong Kong in droves during times of crisis, because it was heavily protected by foreign powers. It was soon established as a place of shelter, and its population grew rapidly. Unfortunately, its status as a safe haven was not to last, as it was occupied by the Japanese for over three and a half years during the Second World War (1939-1945). During the late 1970s, with the 1997 expiration date on the New Territories lease fast approaching, the Chinese government began to argue that the whole of Hong Kong should be returned to China, since the Hong Kong-British agreements counted as unequal treaties that required resolution. From 1982 to 1984, the British government negotiated with the Chinese and eventually the Chinese-British joint declaration was signed. It stated that all Hong Kong territories, including Hong Kong Island and the Kowloon Peninsula, would be returned to Chinese control. On July 1st 1997, after 156 years under British colonial rule, Hong Kong was officially transferred to the People’s Republic of China and renamed the Hong Kong Special Administrative Region. This new name indicated that, although Hong Kong now belonged to China, it was still allowed to maintain its capitalist economy and retain a large degree of political autonomy, excepting only in matters of foreign policy and defence. Nowadays, this is commonly referred to as the “one country, two systems” concept. Its unusual history means that Hong Kong is frequently described as a place where “East meets West”. Whether its colonial architecture built according to feng shui principles or dim sum restaurants sat elbow-to-elbow with fancy French bistros, Hong Kong represents a perfect fusion of Eastern and Western influences. Unlike other parts of China, English is listed as one of the official languages in Hong Kong, so a much larger portion of the population is fluent in both English and Cantonese. Coupled with the incredible public transport system, this makes getting around Hong Kong a breeze for first-time visitors! Geographically speaking, Hong Kong benefits from a humid, subtropical climate, and most of its terrain is hilly or mountainous. Average temperatures range from a sweltering 29 °C (84 °F) in summer to an unbelievably mild 16 °C (60 °F) in winter. Be forewarned, this warm weather comes with a price! From June to October, the area is buffeted by an average of five to six typhoons every year and strong torrential downpours dominate the rainy season. While the region is famed for its urban development, Hong Kong’s mountainous terrain and subtropical climate mean it’s also a haven for nature lovers! Lush plant-life thrives in the region and there are plenty of public parks to simply get lost in. These slices of greenery are the perfect place to practice tai chi, take a gentle hike or a leisurely bike ride, indulge in a spot of kite-flying, or enjoy a few water sports. That being said, Hong Kong is best known for the myriad of cultural activities that take place there every year. The Hong Kong Heritage Museum, the Hong Kong Museum of Art, and the Hong Kong Philharmonic Orchestra host numerous annual events that never fail to dazzle the crowds. And, if you’re in the mood for a bit of frivolous fun, there’s always Hong Kong Disneyland! Feng Shui: This theory is based on the premise that the specific placement of certain buildings or objects will bring good luck. Cantonese was once considered to be a dialect of Chinese, but is now widely regarded as a language in its own right.